Beginning today, while supplies last! 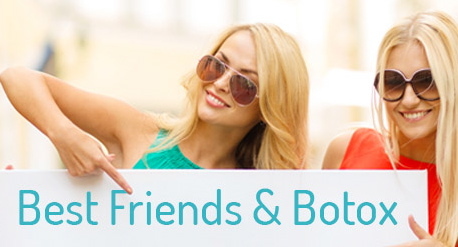 Announcing our Best Friends & Botox Promotion! Beginning today, January 20th, while supplies last, Bring a Friend who’s NEW to our practice and you’ll EACH get $75 OFF your Botox Treatment when you do 20 units or more each*!